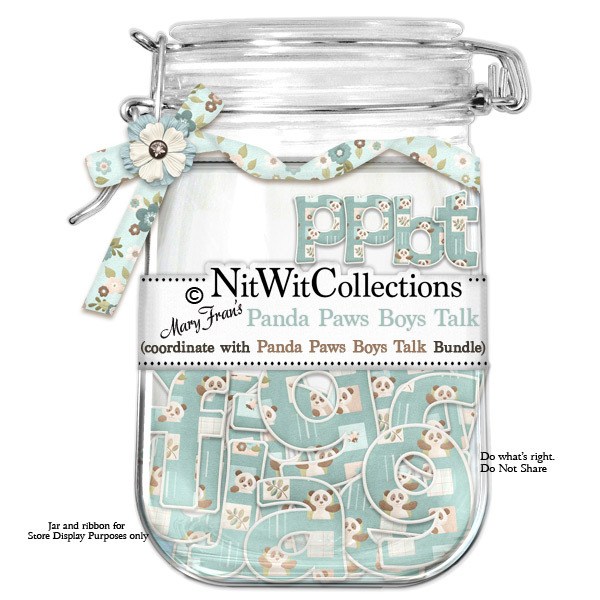 "Panda Paws Boys" Talk brings more creative options to designing your scrapbook layouts and cards. Isn't it a nice way to add a name, date, or place?? Give it a go...you'll be glad you did! 1 AlphaWit set of lowercase letters, &, exclamation mark, hyphen, question mark, quotation mark and set of numbers (0 to 9).